I is for ICE. The frozen water thing, not the immigration enforcement squad. I take ice for granted. I’ve always had ice in my life. I especially enjoy cold drinks that go well with ice. Pepsi. Ice Coffee. Sweet tea. Chocolate milk. I use it on bruises and bumps and headaches. Yay for ice! 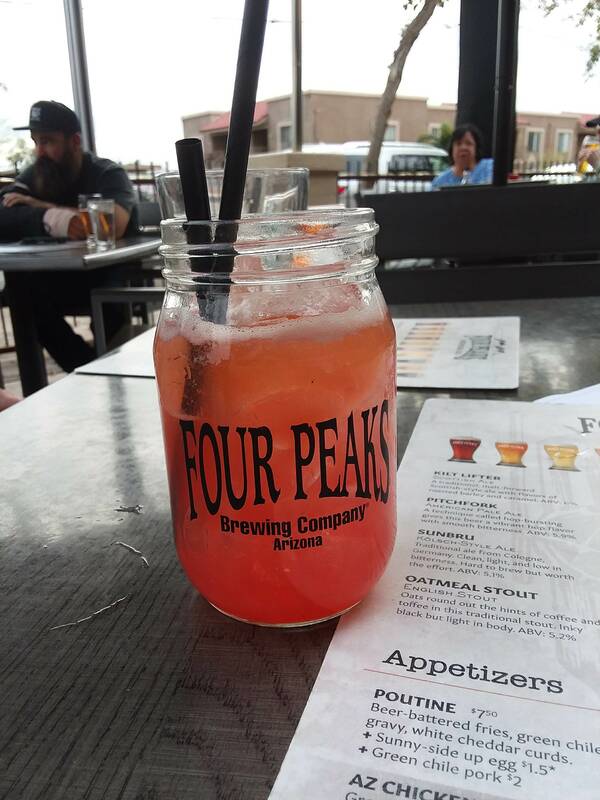 This icy delight is a Ginny Weasely at Four Peaks Brewing Company in Tempe, AZ. I enjoy the ease with which I acquire ice. My life was transformed the first time I used the ice dispenser on my very own refrigerator. What a gift! It’s a rare day when we have no ice in the house. We even use it to cool down the pets’ water in the summer. In my post about Heat, I failed to mention here in AZ the water pipes aren’t buried very deep and when it’s hot out, the water from our faucets is hot. We say, “Who used all the cold water?” around here. Of course, ice is used for recreation. Skating, hocking, curling, ice fishing. Here in the desert, there are two ice rinks less than 5 miles in two directions from my house. One is where the Arizona Coyotes play. I laughed when I heard there would be an ice hockey team in the low, hot desert. It was a huge revelation to me when I realized ice is actually a luxury that most of history, and I imagine even today, the world, has not experienced. Or at least not as a regular thing. Although ice houses to store ice nature made in the winter have been found all over the world including the ancient world, it took a lot of work to get ice from a river or lake into the ice house and then out again to be used to keep food cold or make a drink cool. I imagine you had to be well to do or somehow situated that ice was part of your work. I chose this photo simply because I like the color. In the movie Castaway, Chuck is shown at his welcome home party examing ice and fire, two of the many modern conveniences absent on his desert island. I had been awakened to the wonder of frozen water before I saw that movie, but all the same, I liked that the film recognized it as something we take for granted. The ice comment comes in around 1:12. Now, I think I’ll have some ice cream while I cogitate why my J idea will be. I live in the Valley of the Sun–aka Phoenix, Arizona. Heat is our first middle name. Our second middle name is Wonderful Winters. Today was our second day in the high 90s. Mother Nature blew by the low 90s and gave us 97 degrees. A friendly reminder of what is ahead for us. Sweat and high electric bills. Summer. Triple digits. Triple yuck. At least I don’t have to shovel heat. I don’t slip and fall on it. It doesn’t take up room in parking lots when we get a lot of it or make ruts in the roads because it wasn’t plowed correctly. The sun will soon be the enemy, relentless, mean, blinding. Already I can’t be directly in sunlight for too long, pasty white girl that I am. We talk about heat, complain and joke about it. Endure it. Survive it. We wonder at the start of summer how hot it will get and for how long. We pray for days that are not hotter than average. I don’t think “average” has been recalculated for quite a few years because it’s almost always hotter than average. it’s rarely cooler or colder than average around here. 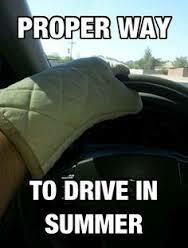 If you live here, remember it’s not too early to put those oven mitts in your car. F is for follow-through, which is not my strong suit. I was tempted to not do this anymore, to cease and desist this nonsense. But I decided to persist so I am writing this short post to declare my commitment to this self-imposed project. Some people aren’t great at beginning things, but go strong once begun. I’m pretty good at starting new projects, but not completing them. Sometimes. I have 10 years of NaNoWriMo projects and three published novels that say otherwise. I also have clean dishes to put away and clean laundry to fold. Is housework the same thing? I’m going to say no. I’ making this short so I can go contemplate what word I will be using tomorrow for G.
Because E is for Eletelephony, one of my favorite poems as a kid and an adult. The photo is a page from a Childcraft book circa 1957. You’ll notice the illustration is by Walt Disney. Way before the Disney mega-entity is what is today. A bunch of cats have passed through my life! Critter. This orange tabby came strutting across the busy road in front of our house. His whiskers had been cut off and he was young semi-feral. He pooped in my dad’s car, in his work hat no less. The second time he didn’t have the good sense to leave the car and rode along with my dad to work. Dad heaved him over the fence into the lumber yard next to the freight truck yard where he worked. We kids thought he just ran away until we were told the truth a year later. We laughed and laughed, knowing Critter would survive because he had been an expert rodent catcher. Daisy. A money cat kitten I was able to keep as a consolation prize for having to relocate with my family as soon as I graduated high school. She ate something bad and died under the car. Meatball. Another yellow tabby, Daisy’s brother. I’m not sure of his fate after I left for college. The Barn Cat. A black and white feral kitty who took shelter in the barn ell of the house my parents rented in Maine. Harrison Henry Blackwell. Harry for short. He sat atop the kitchen cabinets next to a black cat shaped teapot. Something Arabella Graymore. Both she and Henry came with the house my parents bought. She disappeared into the woods to die, we think. she had developed a hole in a facial that constantly drained onto her pretty kitty face. Clytemnestra. A black female with cattitude. Named after the wife of Agamemnon from Greek mythology. She was my first cat completely on my own until she refused to move when I did. Gorad. Black and white. The cat who refused to be named. My roommate’s boyfriend’s friend gave him that name. The same dopes who left the apartment door open. The same weekend the neighbors got a car for the first time. Gorad climbed into the engine. You know the rest. Right after I spent precious money (I was a senior in college) to have him fixed. It cost as much to euthanize him. He liked to sleep on my face. One of those. Gandalf. A little white kitten who followed me on walks. One day he didn’t make it home. He was a sweetie. Schuster. He came from friends who had a sibling, Simon. Yeah, like the publishers. My friends were readers (and dopeheads). Another blackie. He moved out to the woods with me and as far as I know he’s still there. He wouldn’t move to town with me. But that was a very long time ago. & 12. Unicorn and Guinness. Brother and Sister, gray tabbies. They knocked down the Christmas tree I’d just set up with my fiance. Guinness ran away. My roommate adopted Unicorn when I moved out and got married. Bridget. I don’t quite remember her name. Another black and white. She lived at the place where we were house parents for a few months. I helped her birth her kittens. One had to be pulled out. Peachbottom. Adopted from my brother. We had to take her to a shelter because we were all getting bronchitis (2 kids by this time) and we thought we were allergic to her. Then we realized it was probably mold from the dirt floor basement of the house we were renting. Schtuki Putz. Another cat who defied naming. A friend said she thought it meant cabbage head, but I don’t know about that. She was a tortoiseshell calico with a bad personality. She hated my daughter who wanted a cat from her friend’s litter. Schtuk like my husband and son best. She was a huge cat who made the journey west with us, yowling across the country. In February of 2013, she got out of the house and never came back. She was very old and emaciated and wanted to die on her own terms. I knew she was near the end when she started liking me. Schtuki Putz, a female who preferred male humans until she grew old and demented then like me just fine. Smoke. The softest gray kitty. He was fun and sat on my lap when I did school work. He got sick and died. We think he might have swallowed a rubber band that twisted up his innards. He was a sweetie. Smoke. I didn’t name him, but it fit. Twitch. Came with Smoke. A blackie as well, the fourth. He tells me when he thinks I should go to bed then waits patiently while I get settled then lays against my legs. His tail is funky, broken somewhere along the way. I adopted him and Smoke from a family whose kids were allergic. He’s outlived Schtuki, Smoke, and Tippy. Twitch. This kitty’s tail is bent up and shortened. He came that way. My most favorite of all the cats. He prefers our bed and other warm places. Tippy. She spent her early life in a shelter and never really gained social skills. I think my mom felt sorry for her. It was years until she finally warmed up to Mom–after a move. She kind of warmed up to me until I had to take her when mom got sick and never like me again. She became ours shortly after Schtuk left. She was blind toward the end. You can see the cataracts in this picture. Yeah, so I’ve known a few cats. I’ve been cleaning cat boxes for 40 years. Welcome back to mt 2019 a to Z Blog challenge, day 2. Obviously. Other possible B topics for today included birthday (mine is on Saturday!) bullsh!t, babies, beds, bathtubs and binge watching. I’m going with baseball. Obviously. Note: If my posts are funky-looking, blame WordPress. They haven’t been allowing me to see previews lately. And I’m still figuring out this new block editor. I used to watch the Phillies on TV with my dad, circa late 1960s to early ’70s. I found it easier to understand than football. Since I was a girl, the closest I could get to being a player was being a players wife. I figured my husband would be gone a lot and I could be independent but spend lots of the money he made. 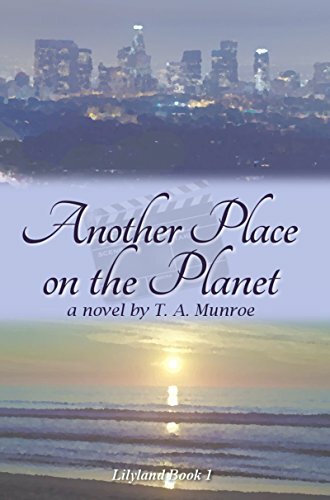 The closest I got to that is that my real husband, an ace pitcher in high school, was scouted by the pros, and got a baseball scholarship to Marrietta College. But in his senior year, he was in a major car accident (before I knew him). His recovery, while miraculous, wasn’t complete enough to allow him to be competitive. As a kid, late elementary, early middle school, I sent away for the Phillie’s yearbook because I didn’t get to the stadium until after high school even though we were less than 2 hours away. I copied pictures of the players in action. Once when pitcher Steve Carlton was having a bad run, I sent him a letter of encouragement. For my efforts, I received an authographed photo, seen here. For some reason I kept it all these years. I used to get really caught up in games and playoffs and championships. I was highly emotional, cussing, crying, all that. It wasn’t until I was an adult I realized the value of turning all that off. Wins and losses of my favorite teams didn’t affect my life at all. I never got one nickel if my team won the World Series. But now, as an Arizona Diamondbacks fan, I get great pleasure from detesting the Dodgers. I even add baseball to my fiction writing. (Actually, there is a subgenre of Romance about baseball players. Here’s a scene from one of my published novels. Charlie continued to brood as we ambled around central Phoenix, my hand warmly in his. It seemed more like a habit than an intentional sign of affection. Not that I minded. I liked being seen like that. “You like baseball?” he asked with the first smile I’d seen in a while. “If I go to some games here with you, you’ll have to go to Dodgers games with me in L.A.,” he said. “What do you have against the Dodgers?” he asked, his step lightening a little. “A beautiful woman who loves baseball and understands its rivalries. 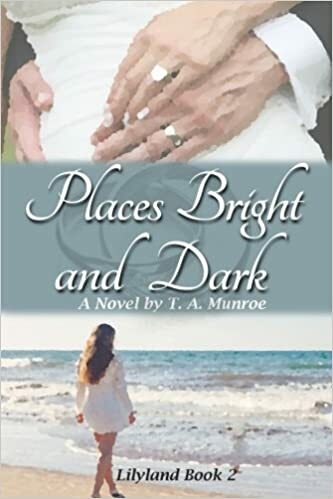 I’m in heaven.” He kissed my cheek as we waited for the light to change. His mood seemed to lift a bit. Mine did. Later in the book, there’s a poignant scene at a Diamondbacks game. So, that’s a very brief history of my affection for baseball. Thanks for reading! Feel free to leave a comment about how baseball has impacted your life. Or any other kind of comment. As long it’s friendly. Welcome to day 1 of my Blogging A-Z 2019 event. This is the first year for me. Many posts will be short because I have other things to do. As, my Dear Readers, do you. Among possible topics beginning with A, I considered: assholes (the jerky person, not the anatomical one), anger, angels, aardvarks, and April (my birthday month!). I decided to go with Arizona, my state of residence to show off things here I haven’t experienced in the three other states I lived in: Pennsylvania, Maine, and Vermont. Pictured are a very small sample. Every plant around here wants to hurt you. You don’t even have to touch some of them. Teddy Bear Cholla. Pronounced choy-a. The name is a lie. Don’t hug it! Meixcan/Chinese/Jamaican fusion served in a funky location–an older strip mall in Phoenix. They have a newer one too but I’ve never been there. Lake Pleasant. Man-made lake with a super cheesy name. Maricopa “Lake” in my town is more like a pond. Complete with turtle! At a place in Tucson. The name escapes me. 2 for 1 on certain nights! Great Mexican food, too. Chocolate sauerkraut cake. Yes, you read that correctly. From Haus Murphy, a German restaurant in Glendale. So, some of my favorite Arizona things. Thanks for stopping by. Come back soon!